Has A New Ford Bullitt Mustang Been Leaked By The Rock? A new Ford Bullitt Mustang could be on the cards - because everyone wishes they were as cool as Steve McQueen. With Dwayne ‘The Rock’ Johnson now a brand ambassador for Ford, you better start getting used to seeing the action movie star appearing in the manufacturer’s commercials promoting its latest models. During a recent shoot for a commercial at FoMoCo’s Dearborn facility, a behind-the-scenes video may have leaked an upcoming new Bullitt edition of the S550 Ford Mustang thanks to an eagle-eyed member of the Mustang6G forum who spotted the images. Images of what could be a new 2018 or 2019 model Ford Bullitt Mustang can be seen shortly after the three-minute mark, posted on a board alongside sketches and renders of future Mustang models. The design elements strongly hint at a new Bullitt Mustang based on previous models, including the dark green paint job (officially known as Dark Highland Green), a faux gas cap with crosshairs, dark torque thrust wheels, and a de-badged grille. If it’s not an outright leak, Mustang6G points out that it could be a proposal for a new generation Mustang Bullitt. 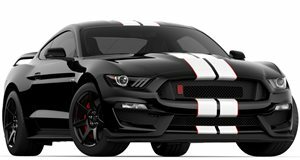 This is perfectly plausible, since Ford has resurrected the iconic Bullitt Mustang in the past with two limited edition models. The first lesser-known model was released in 2001 based on the fourth-gen Mustang, while the last Bullitt Mustang was based on the fifth-gen model in 2008. As one of the most famous movie cars of all time, the original Bullitt Mustang needs no introduction. With Steve McQueen behind the wheel, the 1968 Ford Mustang 390 GT starred in the film Bullitt, which features what many consider to be the greatest movie car chase of all time set in San Francisco.